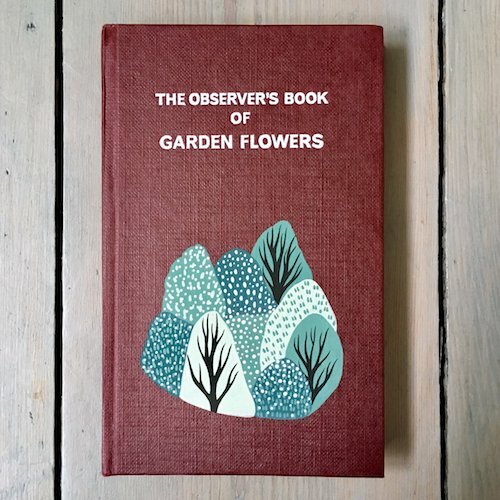 The Observer’s Books that are a wanted series of vintage books published by the Frederick Warne & Co in the UK from 1937 to 2003. The books cover a large spectrum of topics, from British birds, dogs, cats, caterpillars, astronomy, fishes, house plants, cacti, roses to hobbies including postage stamps, coins, music, British architecture and locations including London, Cotswolds, Devon, Cornwall and Paris. A must have for colour enthusiasts and book lovers. The series contains 100 titles and are very sort after, both for its vast array of knowledge and the block colour fabric book covers that are great desk and shelfie props, and are frequently seen in styled photography with lifestyle products. Illustrator Natasha Newton www.natashanewton.com from Suffolk / Surrey has further brought the book series to life, and escalate the books to super cute status by adding her own very pretty modern touch - her original nature / landscape paintings in gouache and acrylic ink to these lovely vintage Observer’s book covers. We agree how Natasha had described her customised book covers as “a work of art” - we HEART these (big time) as it combines our love of books, colour and illustrations.